For specific information on our programs for troubled teens, please contact our admissions team by phone at 800-817-1899. We are pleased to offer a secure online application for admission to Outback Therapeutic Expeditions programs for troubled teens. An Admissions Counselor will review your application and contact you to discuss appropriate placement. Outback Therapeutic Expeditions works on a continuous-flow basis with admissions and discharges occurring regularly. This creates a positive peer culture and allows students to become mentors to “new-comers” in the group. We prefer to admit students Monday through Friday. Weekend admissions can be arranged, but check with your Outback Therapeutic Expeditions admissions counselor for details. Please schedule flights to arrive at the Salt Lake City Airport by 2:00 p.m. If special arrangements need to be made, you can contact our admissions director. Outback offers grants to qualified applicants from both Sky’s The Limit Fund and Wilderness4Life. 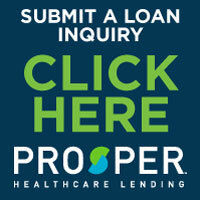 Outback also partners with American HealthCare Lending to help families with the financing process. Many parents prefer to finance their child’s stay in order to make low monthly payments over an extended period of time. Please click on the link below to begin the process. We also encourage you to call us at (800) 817-1899 with any questions. After you complete and submit the online application, a representative from our admissions department will follow up with you. They will send you enrollment signature forms (contract, etc.) to be signed and sent back to the Outback Admissions office prior to your child’s enrollment date. Upon arrival at Outback Therapeutic Expeditions, students receive their gear and clothing, visit the doctor’s office for a short physical exam, and are then brought to the field and introduced to the group. Prescription medication- Please do NOT refill medications unless there are less than 3 DAYS’ worth of medications remaining in the bottle. All refills of prescriptions will be filled through our contracted pharmacy, HealthCare Pharmaceuticals. All prescription refills will be billed to your insurance provider and subject to plan limitations. Prescription eyewear – Glasses are required. Contacts are not appropriate due to dust, smoke, etc. Please send glasses in a protective case. Orthotics/shoe inserts – if worn.